Written by Sagar Nangare, Digital Strategist at Calsoft Inc. Since NFV - Network Function Virtualization officially proposed by ETSI in 2012, we have seen exponential development in NFV ecosystem by contribution by many large vendors and open communities. Till now, NFV stayed in immature stage due to lack of common information or deployment model and certain specified guidelines. But in the last few months, telecom network providers along with leading network solution vendors started to test 5G networks which are mainly based on NFV/SDN technologies. Initially the majority of NFV deployments comprising MANO (Management and Orchestration) layers, NFV infrastructure (NFVi) and development of a core part of NFV i.e. VNFs (Virtual Network Functions) focused towards utilization of virtual machines to host VNFs. But, due to the fact that NFV is backbone technology for 5G networks, it will demand large scale deployment with agility, portability, scalability, highly automated, lower overheads along with minimum CAPEX and OPEX for telecom service providers. Virtualization is traditional and proven technology which brought huge innovation at data center level enabled businesses to introduce a variety of digital products - enhanced the digital life. As telecom service providers started to think about 5G networks based on NFV, virtual machine deployments were not enough considering a scale and demand for agility in service launches and low latency requirements to support high-end technologies like machine learning, real-time analytics, autonomous cars, virtual reality and augmented reality products, etc. Let's take a look at features offered by both - virtual machines and containers and compare them for NFV use case. Resource overheads: Virtual machines are hardware or system level virtualization and Containers are OS-level virtualization. To run a virtual machine guest OS and hypervisor is need on top of server OS. Which means there will be a limited number of isolated VNFs can be mounted on a single server and need more resources (CPE, memory, etc) for guest OSes. Adding to it, there will be more number of VNFs needed to run as - to form a single network service NFV deployment chains the multiple VNFs together. Already, there is huge infrastructure rebuilding is involved at the core and edge part of telecom networks for powering 5G networks with NFV. Due to this fact, telecom network providers will be expecting less number of resources to be utilized to generate high throughput by running maximum number of VNFs. To cope up with it containers can be utilized to host VNFs. Containers are lightweight package bundled with all dependencies to run a single native application. It is an image file package which can be easily ported across various operating systems environments. Containers can be deployed on a host OS and on top of it container orchestration engine is installed which manages the lifecycle of individual and isolated VNFs. OS level set up for containers incur less computing resources need to run the VNFs. We observed - there are a significant amount of advantages of using container-based VNFs rather than hypervisor driven. But if we look at the current stage of NFV progress in NFV technology innovation was not much faster which were anticipated in 2012 due to lack of common guidelines model. But now, 5G networks are started to deploy and tested in some of the cities by service providers with the help of leading vendors. Some of the leading vendors have worked on PoCs of using containers in NFV environment. The development will be leading to target the more innovative features which 5G is bringing such as network slicing, Mobile Edge Computing (MEC) and cRAN (Cloud Radio Access Networks). These new 5G features will surely require dynamism and benefits offered by containers for highly automated deployment of services towards every edge of the 5G network. We can expect all service provider and network solutions vendors aware of container benefits to be utilized to gain high throughput. 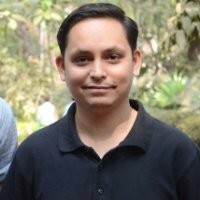 Sagar Nangare is a blogger, technology enthusiast & B2B technical marketing professional with more than 7 years of experience. Currently working as Digital Strategist at Calsoft Inc.